The sight of Anil Kumble emerging from the pavilion, ready to bowl, his face bandaged, in the Antigua Test of 2002, is one of the bravest things I’ve seen on the cricket field. He sent down 14 consecutive overs and became the first bowler to dismiss Brian Lara while bowling with a broken jaw. That was an inspiration all of us. Nicknamed ‘Jumbo’ for his big heart and the way his deliveries take off like a jumbo jet, Kumble has been the side’s pivot for almost two decades as India began dominating home matches on slow pitches around him. 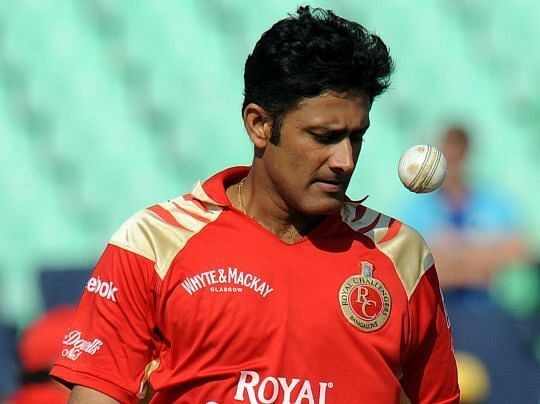 Unlike Sachin Tendulkar and Sourav Ganguly, Kumble has always maintained a low profile despite his match-winning exploits since his debut as a 19-year-old in 1990. No Indian comes even close to his contribution. 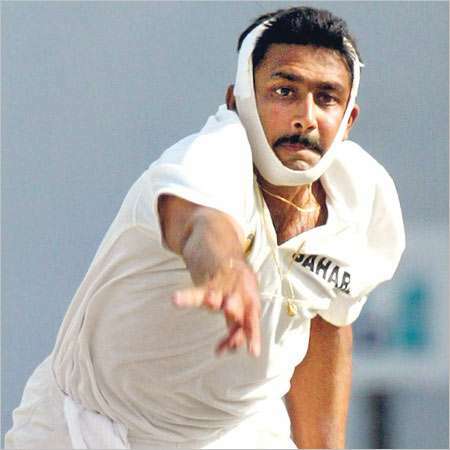 Kumble finished his dazzling career with 619 Test wickets the third highest wicket taker, after Muttiah Muralitharan and Shane Warne. This proves he was no pushover when it came to performance. Not just that, he showed the world that one can be extremely aggressive without been “wild”. 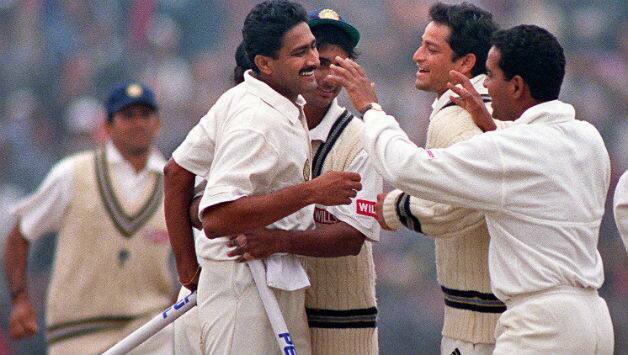 These are some of the memorable moments from Anil Kumble’s illustrious career. In 1996, he picked up 61 wickets in ODIs and that record still stands. What made it better? It came against Pakistan. He became the second bowler in the history of the game after Jim Laker to claim all 10 wickets in an innings. The crowd at St. Johns, Antigua witnessed one of the bravest performances by a player in cricket history. 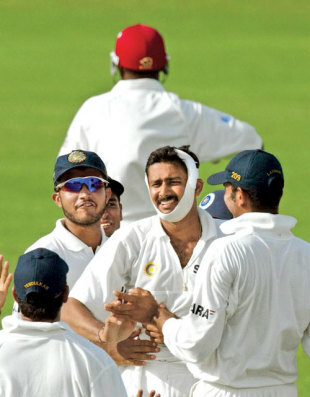 Kumble, with a heavily bandaged face, thanks to a broken jaw, bowling 14 overs was courage personified. 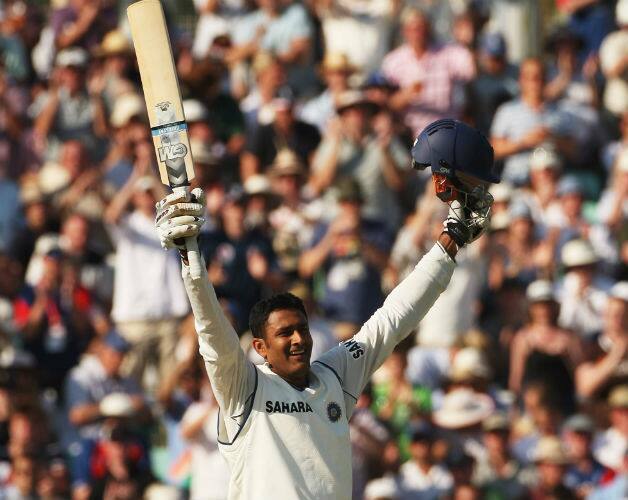 Anil Kumble getting his maiden Test century at The Oval in 2007 against England was a unique moment. He proved Anil Kumble with the ball and Anil Kumble with the bat were two different people. After a heated match-filled-with-controversy in Sydney, where Harbhajan Singh was accused of racism by the Australians, Kumble made some really strong statements and also led India to a famous victory in the next test at Perth. He finished with 619 wickets in Tests, the most by any Indian and the third best in Test history. Certainly a long road – 18 years – on which he came across many highs and lows. In the finals, he decided to bowl the first over and dismissed Adam Gilchrist in the very first over. Surely, he must have studied Gilchrist’s weakness against spin bowlers. Kumble earned laurels both at home as well from the rest of the cricketing community for his commitment to the game and the team. I simply want to say I’m new to weblog and seriously liked this blog site. Almost certainly Iâ€™m going to bookmark your website . You really have wonderful stories. Cheers for sharing with us your web-site.